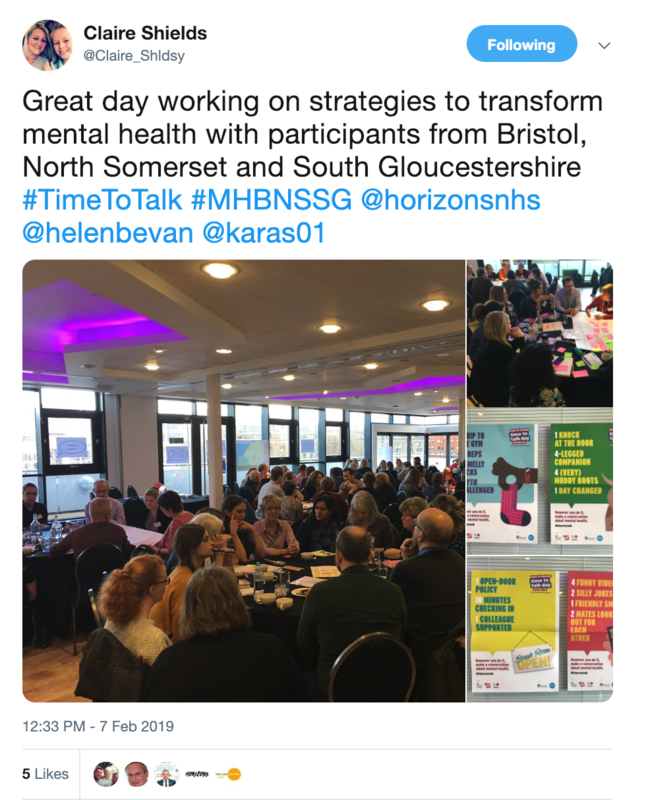 Our Senior Business Manager Claire Shields, Project Director Sasha Karakusevic and Chief Transformation Officer Helen Bevan headed over Bristol earlier this week, and facilitated an event on transforming mental health - which fortuitously coincided with #TimeToTalk Day. 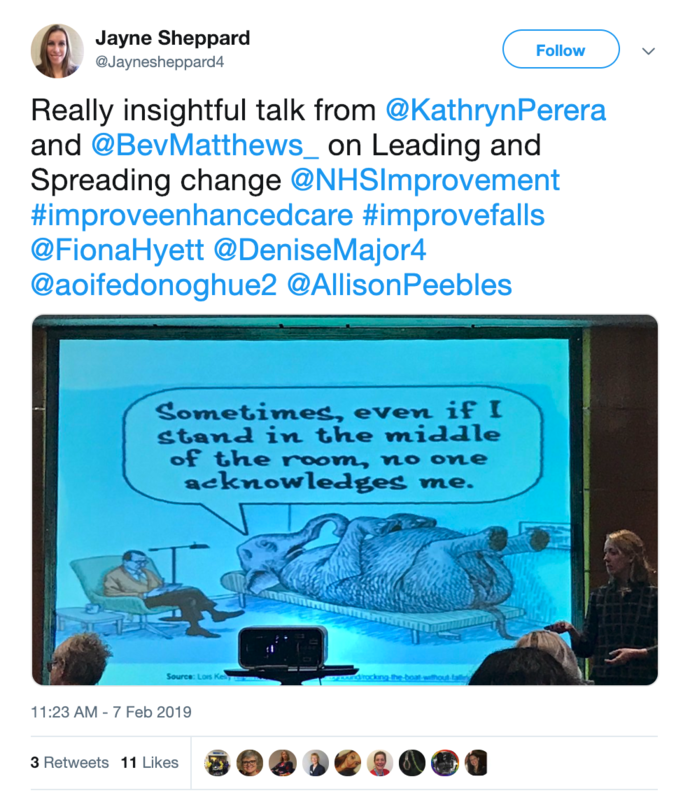 Deputy Director Kathryn Perera and Transformation Associate Bev Matthews presented at the NHSI Falls and Enhanced Care Collaborative. 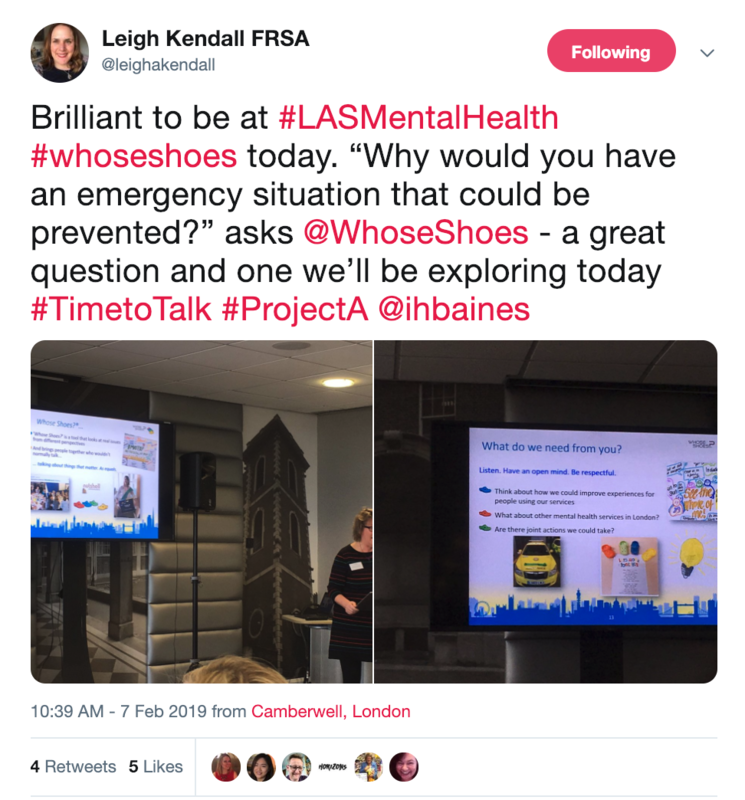 Our Comms Lead Leigh Kendall and Transformation Associate Ian Baines attended the London Ambulance Service event focusing on mental health as part of #ProjectA. 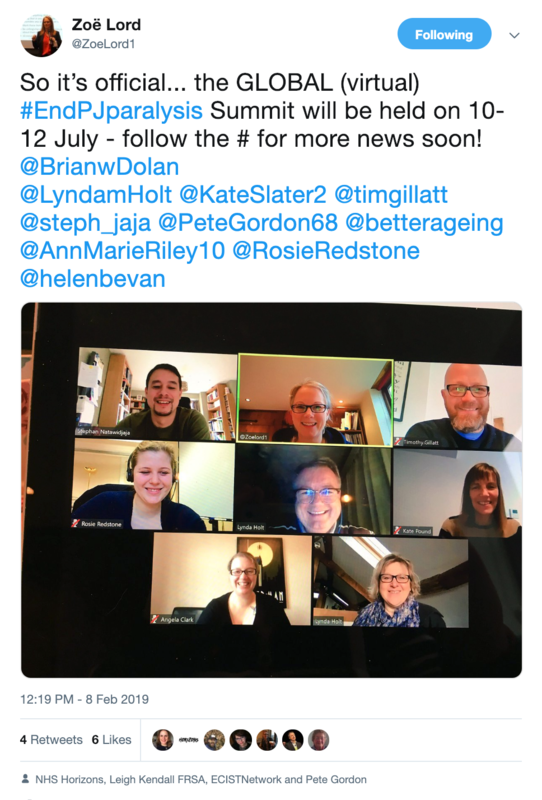 ...the GLOBAL (virtual) #EndPJparalysis Summit will be held on 10-12 July! 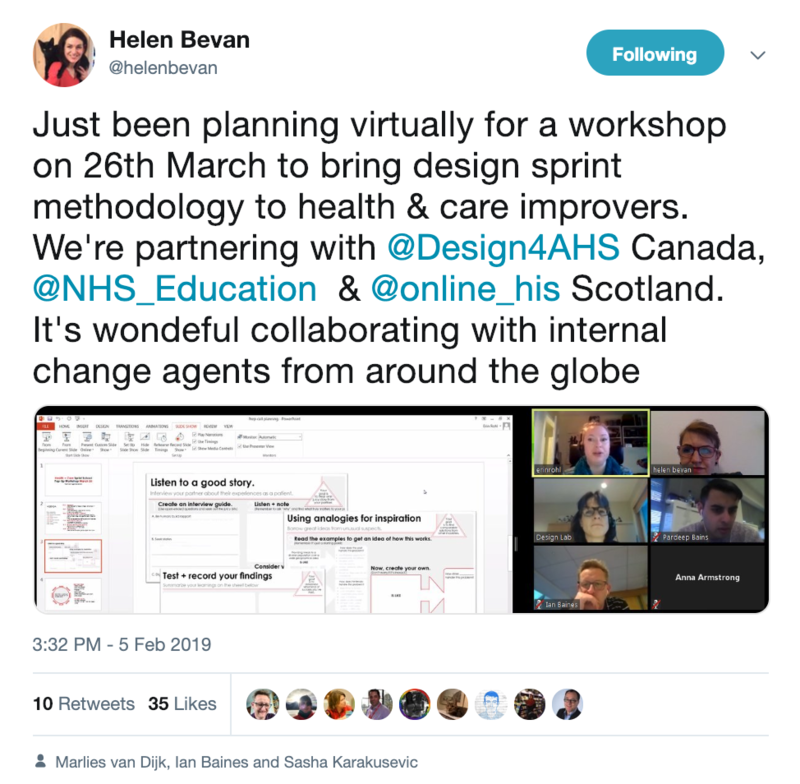 Helen did a virtual planning session for a workshop on 26th March to bring design sprint methodology to health and care improvers. 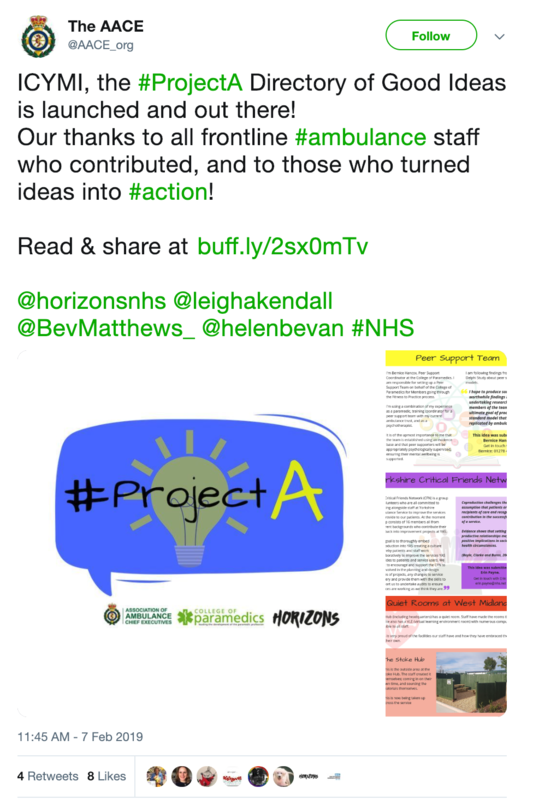 We're partnering with @Design4AHS Canada, @NHS_Education & @online_his Scotland. 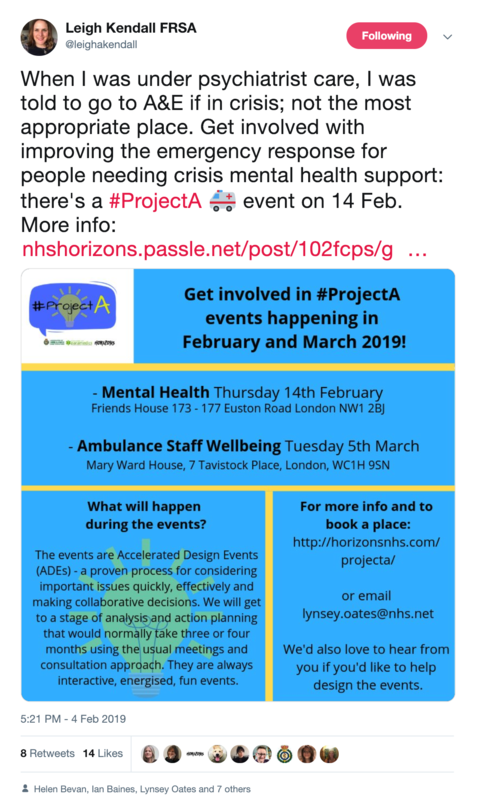 We're looking forward to the #ProjectA collaborative on Mental Health on Thursday 14th February. 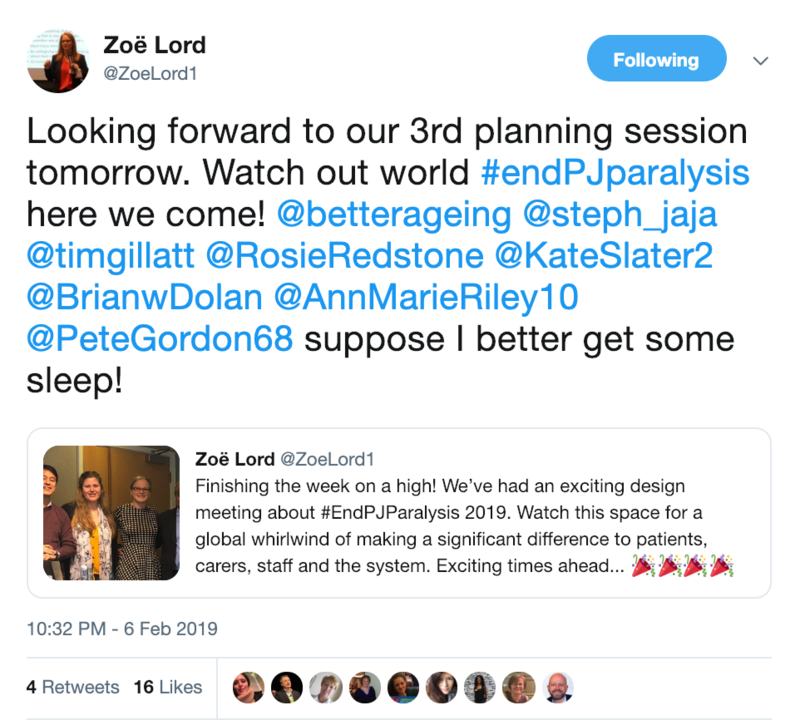 If you're planning on attending please bring along any posters, reports etc that may be helpful to others. If you're not coming, follow along on Twitter! 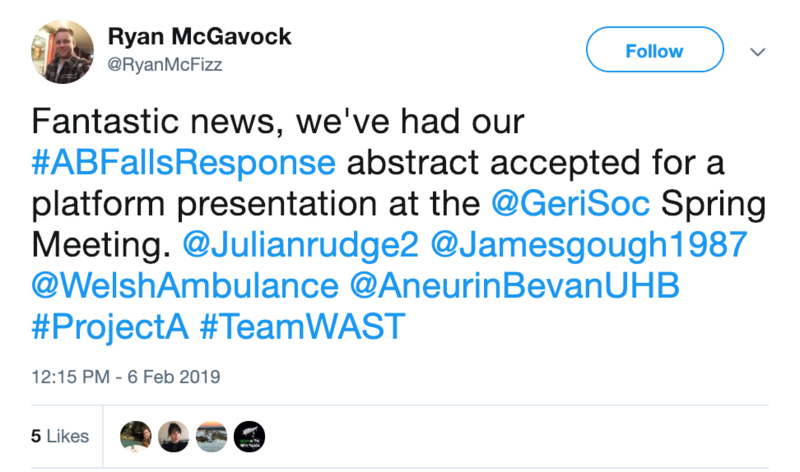 Ambulance staff are gearing up for the event! 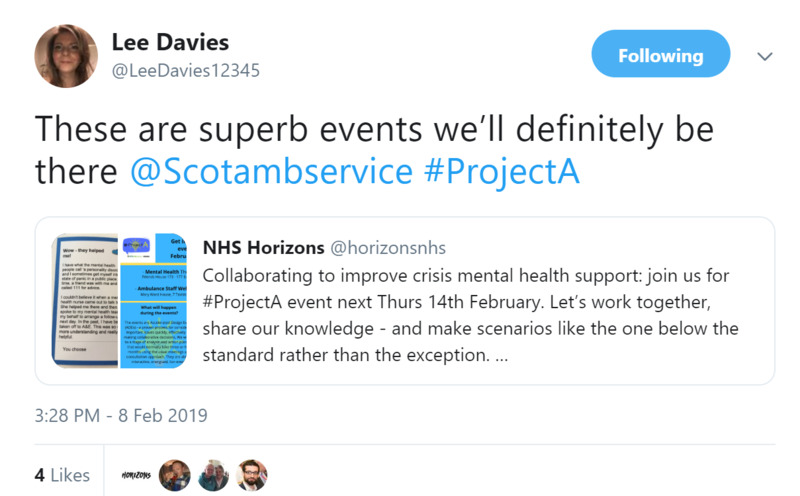 Ian and Leigh attended a London Ambulance Service event on mental health this week - Leigh wrote about the event, and how it connects with #ProjectA. 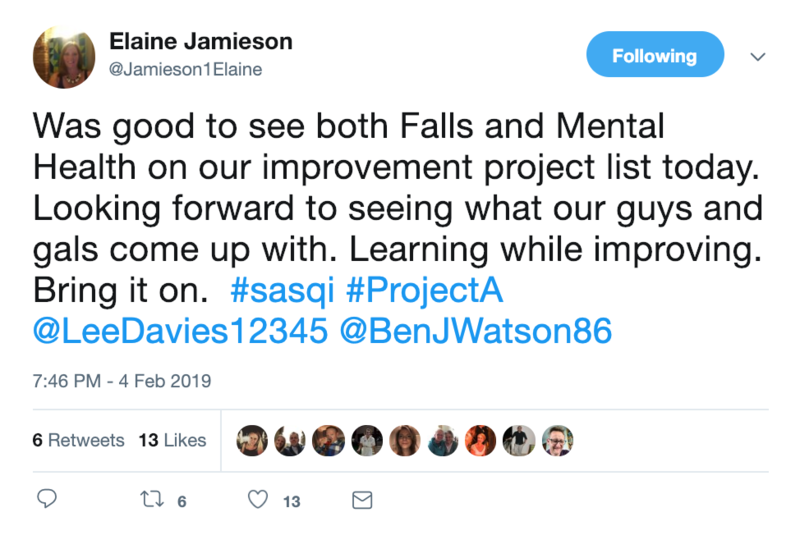 If you missed the #ProjectA event on Falls, don't worry, you can catch up though Ian's latest blog. 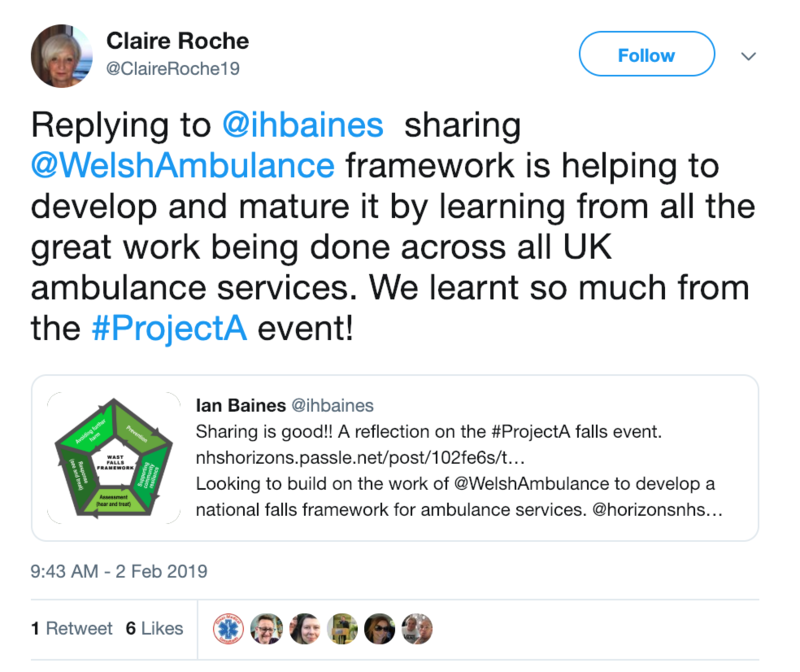 We are very glad the experience of the Welsh Ambulance Service sharing their model is valuable for them as well! 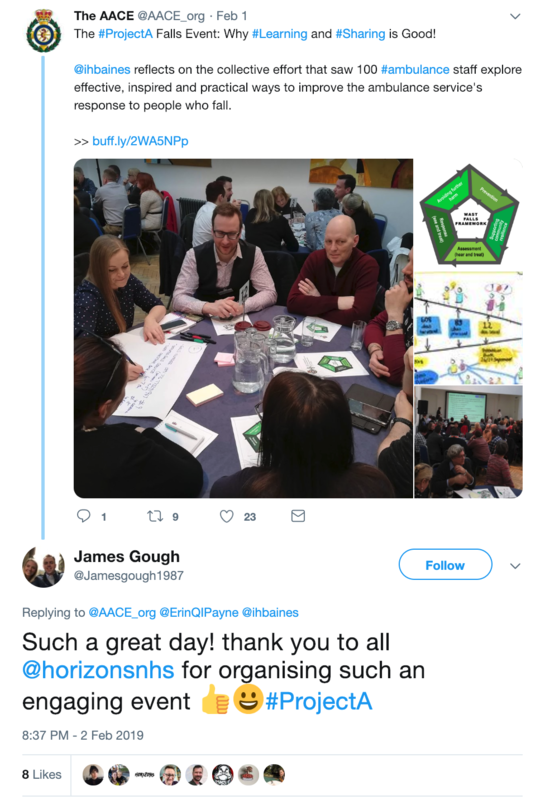 It's also great to see our ambulance colleagues are carrying on the good falls work and sharing with the wider community. Learning while improving...bring it on! 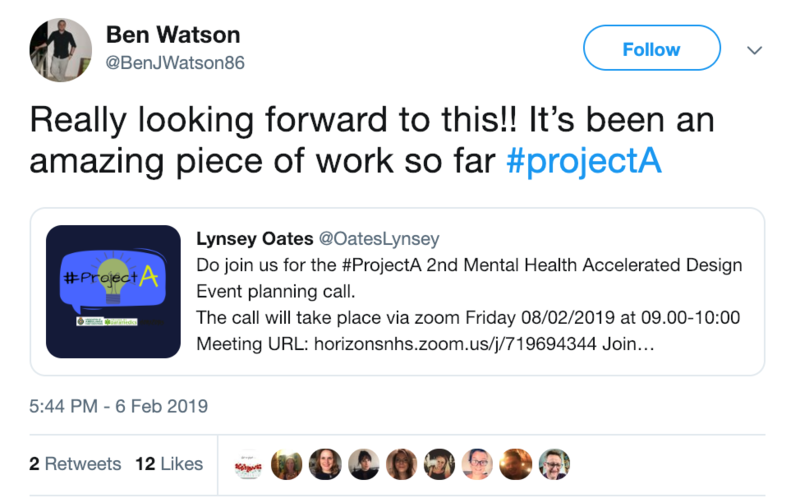 The #ProjectA Directory of Good Ideas was launched last month, please do read, share, and continue to share your wisdom with us! 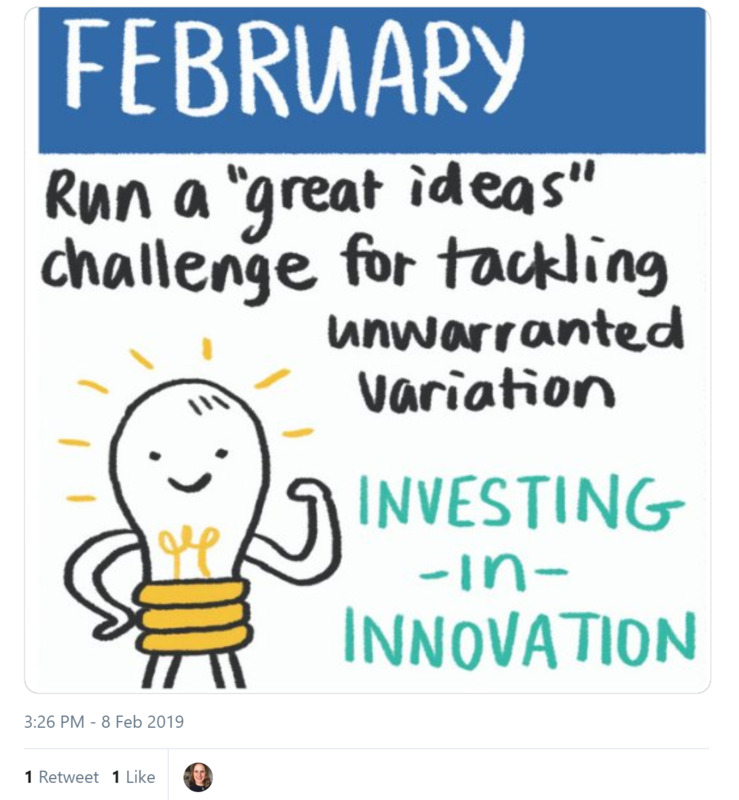 February's challenge is about challenging unwarranted variation: find out what this means, and how you can get involved in this post. 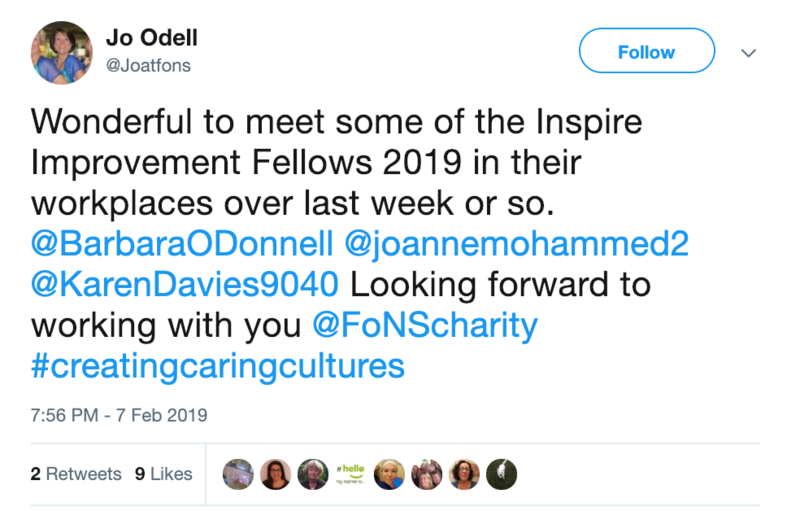 Joanne Mohammed has secured a place on Inspire Improvement Fellows 2019, building on her role as a Nursing Now Ambassador. 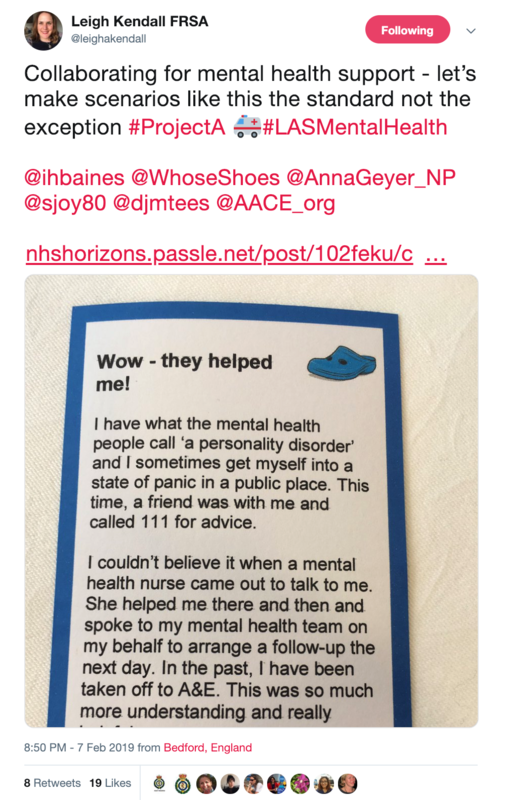 Congratulations Joanne! 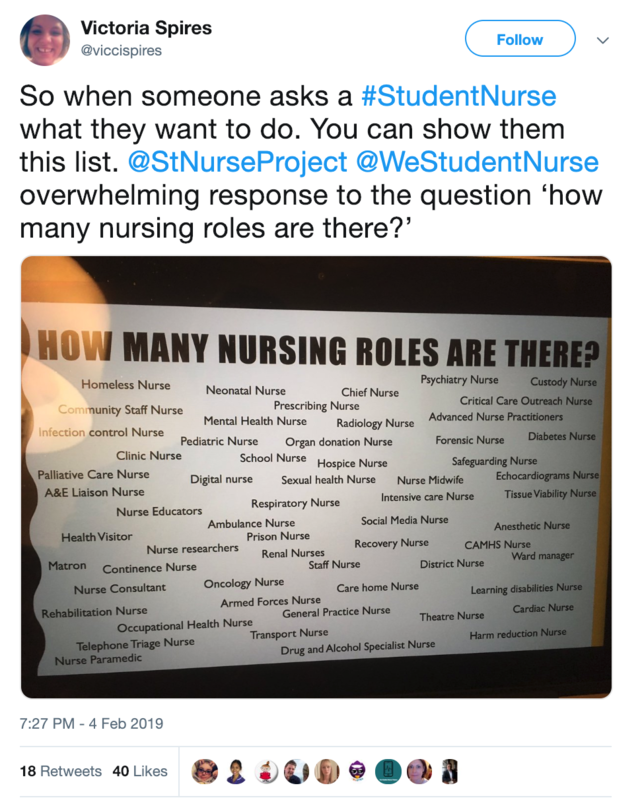 When someone asks a student nurse what they want to do... an amazing list of all the possibilities available in a nursing career. 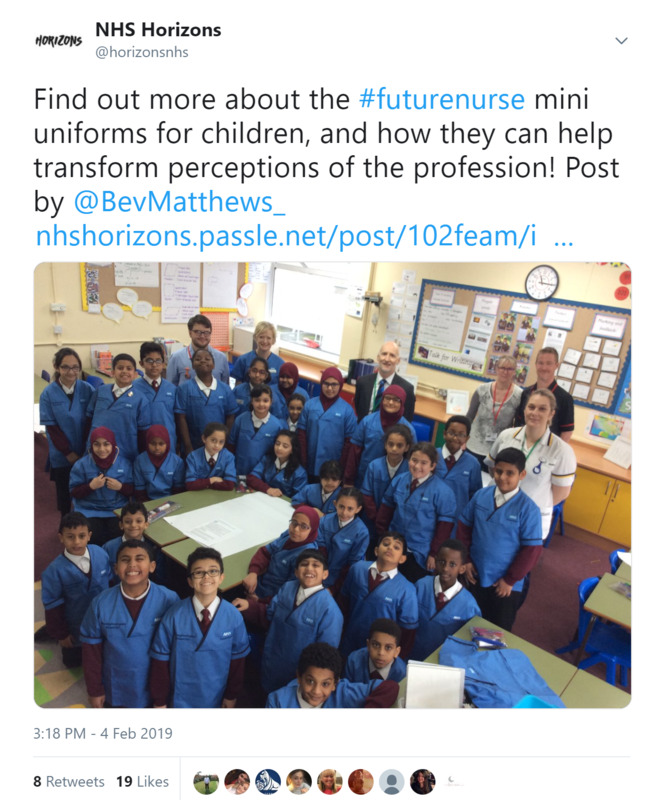 Find out more about the mini uniforms for children, and how they can help transform perceptions of the profession. 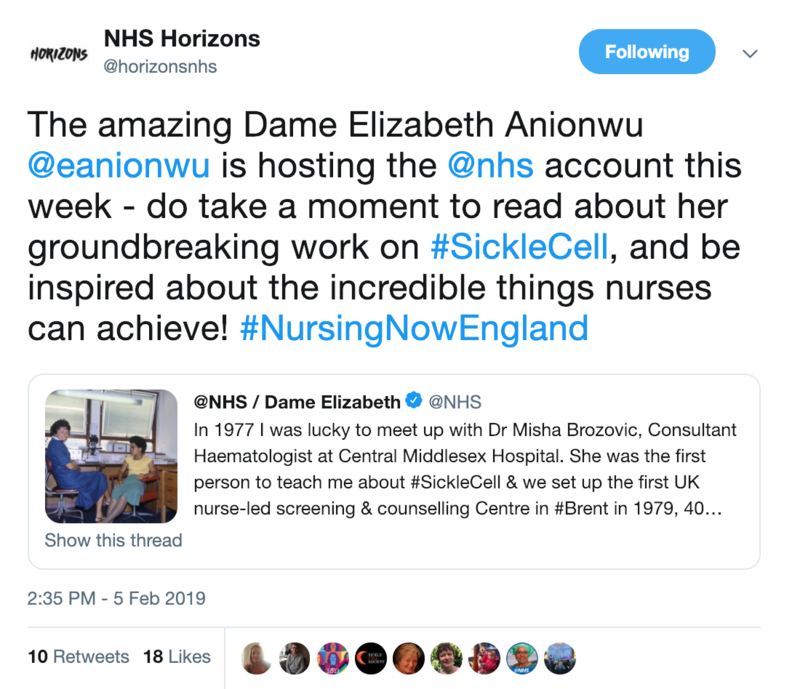 Read about Dame Elizabeth Anionwu's groundbreaking work on #SickleCell and be inspired about the incredible things nurses can achieve! 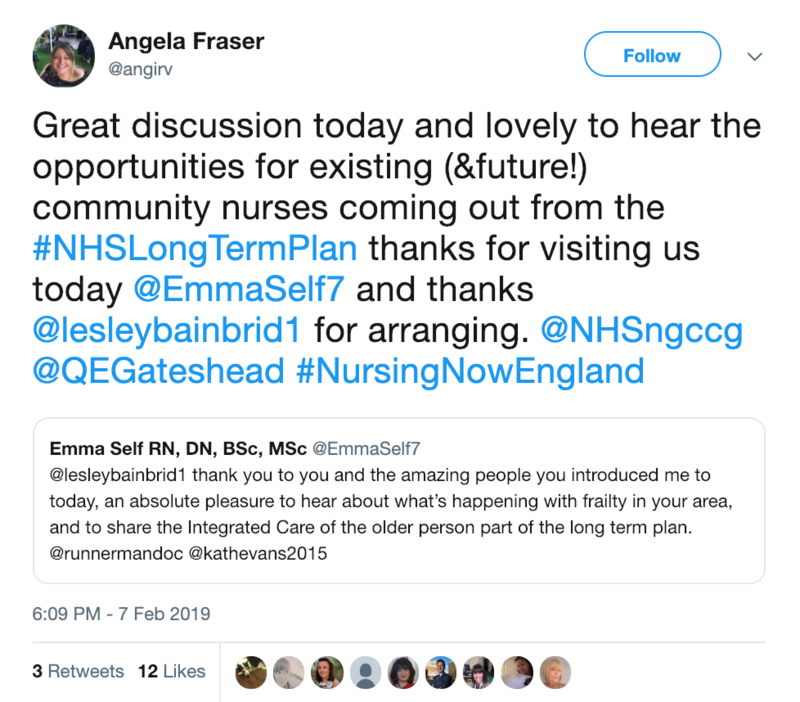 More opportunities for nurses in the NHS Long Term Plan. 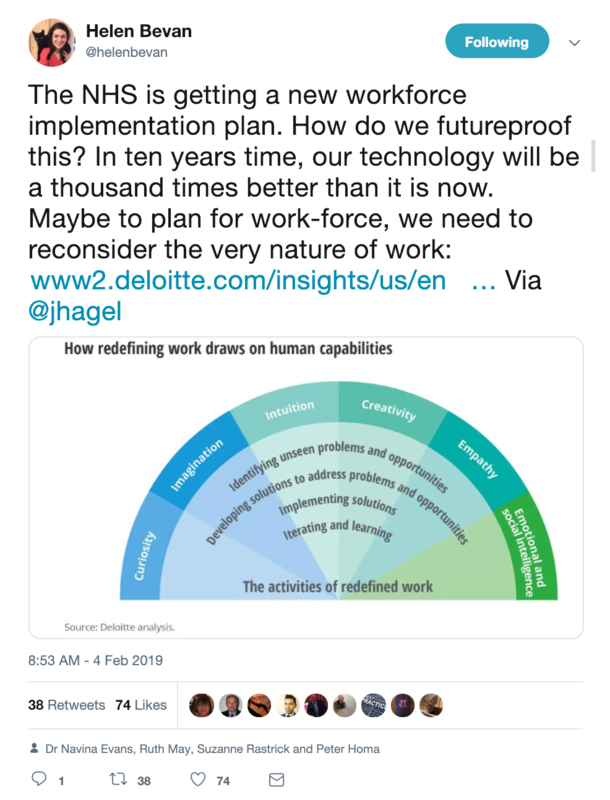 We need more nurses and it's great to see the nursing profession has been placed in the priorities of the NHS. 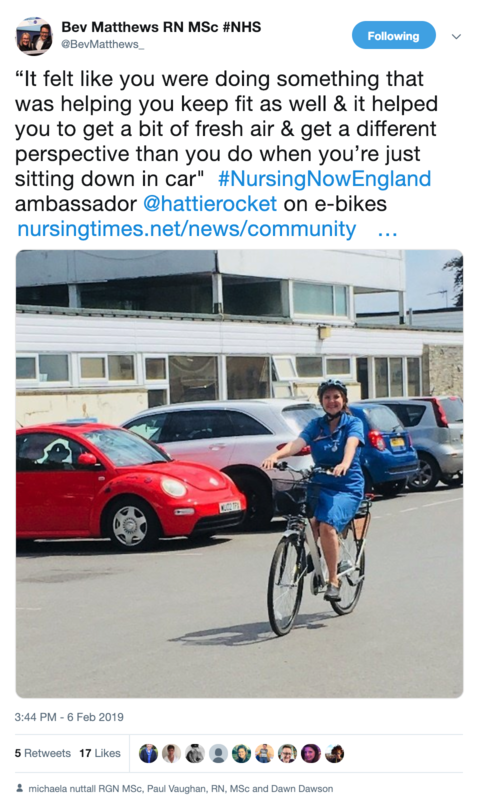 It's important for nurses to take care of their own health and wellbeing as well. 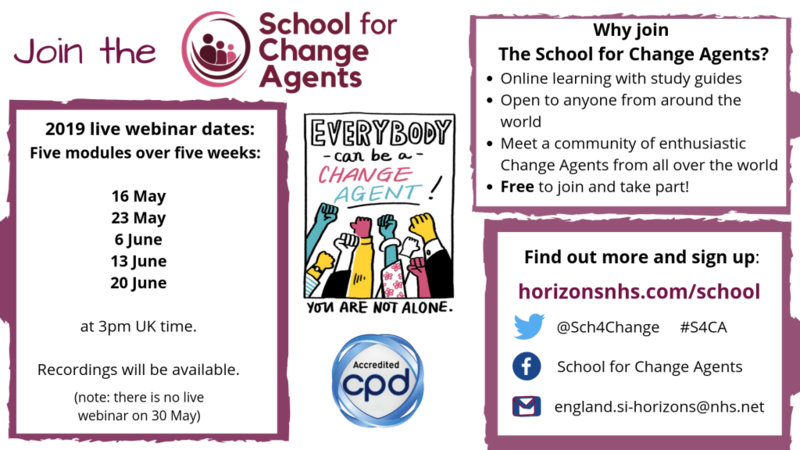 It's brilliant to see people excited for the new term of the School for Change Agents! The five week online course starts on 16 May, and is free to join - sign up now! 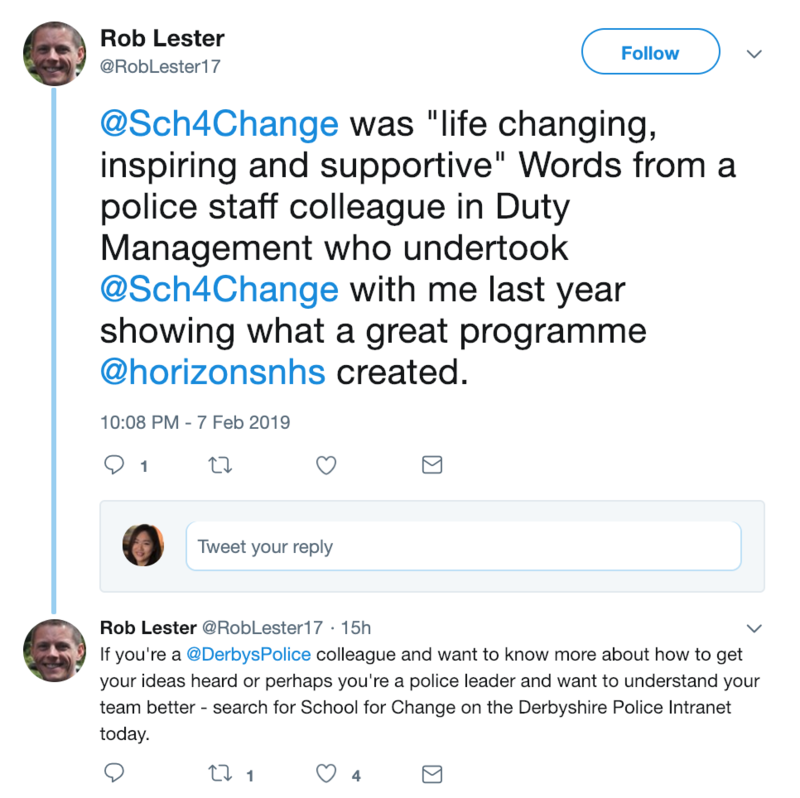 It's great to see our alumni encouraging more people to join the School this year too! 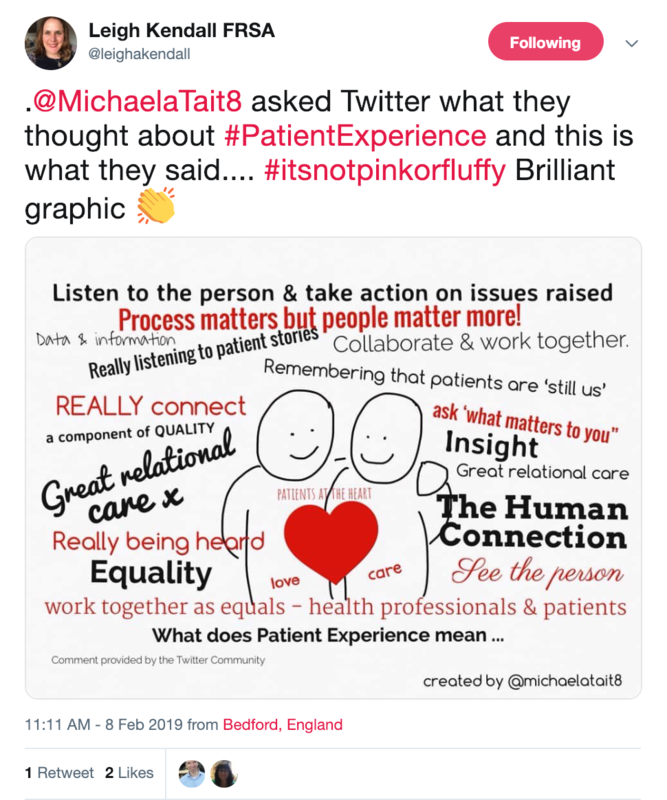 What does patient experience mean to you? 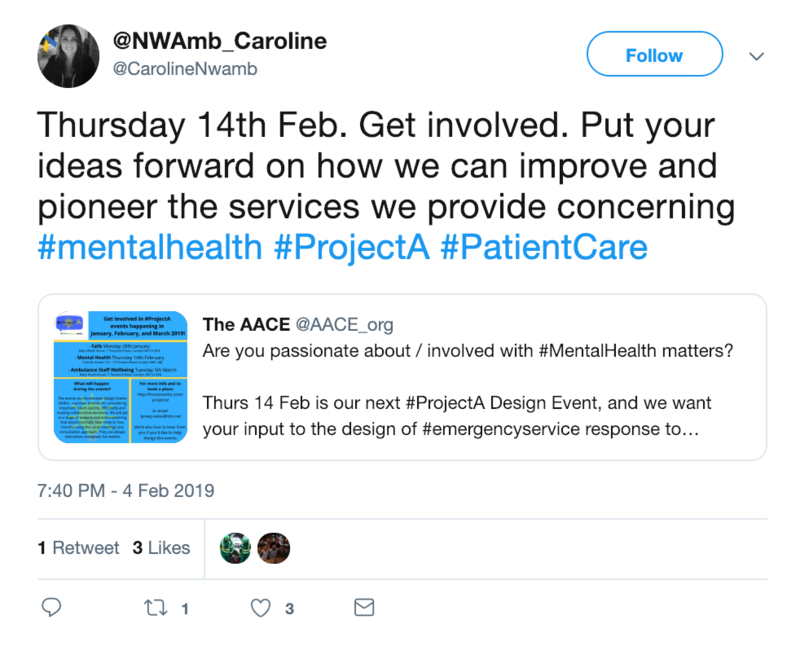 Should we make writing to patients an #AlwaysEvent? 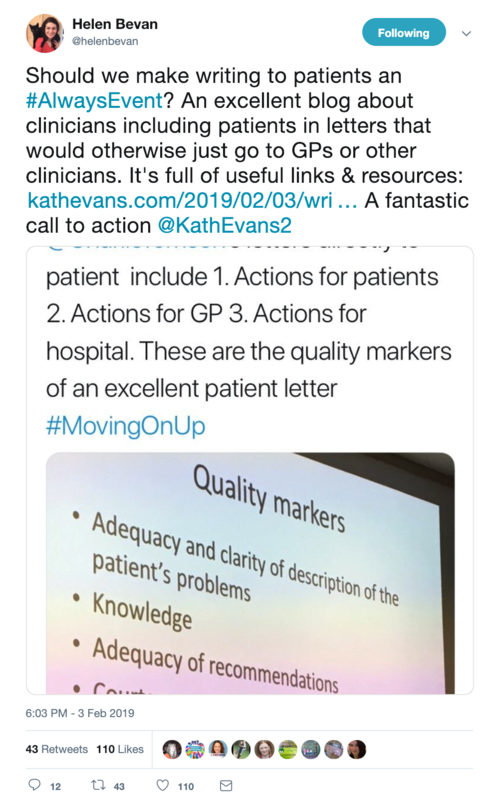 An excellent blog about clinicians including patients in letters that would otherwise just go to GPs or other clinicians. 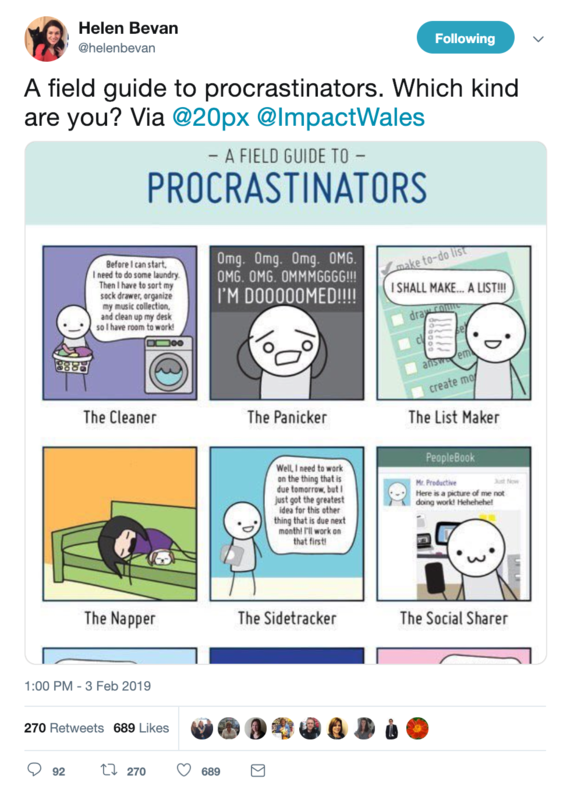 Ten quick tips for influence. 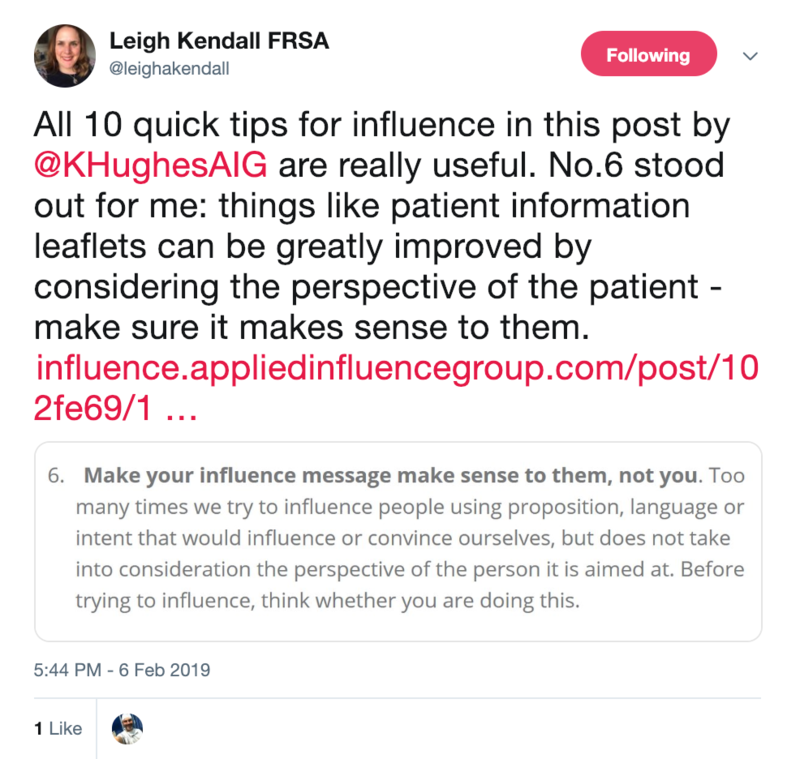 No.6 stood out for Leigh: things like patient information leaflets can be greatly improved by considering the perspective of the patient - make sure it makes sense to them. 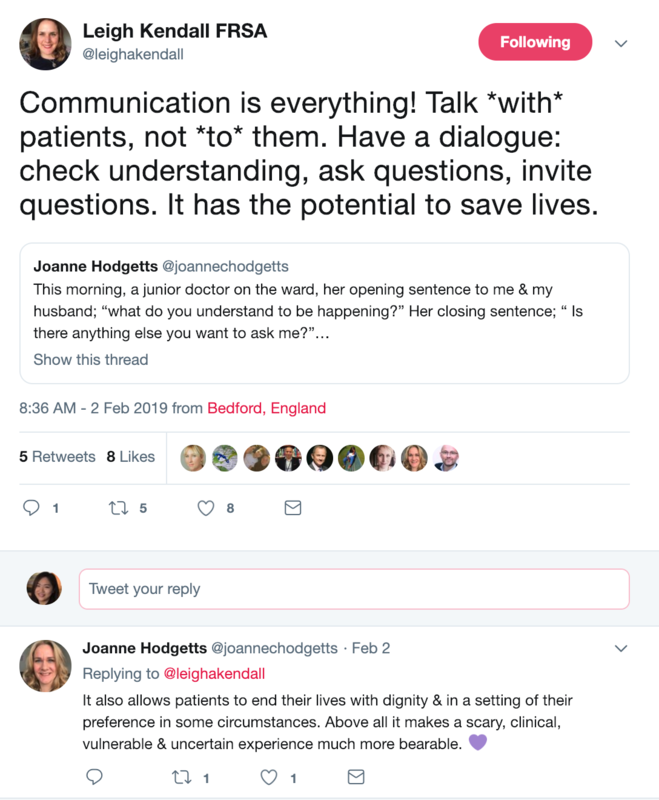 Communication means talking *with* patients, not *to* them. 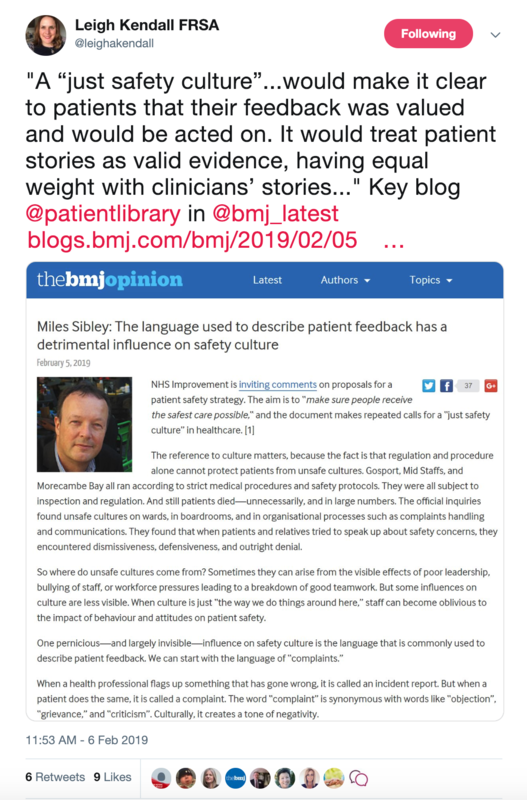 The language used to describe patient feedback has a detrimental influence on safety culture. Read the post. 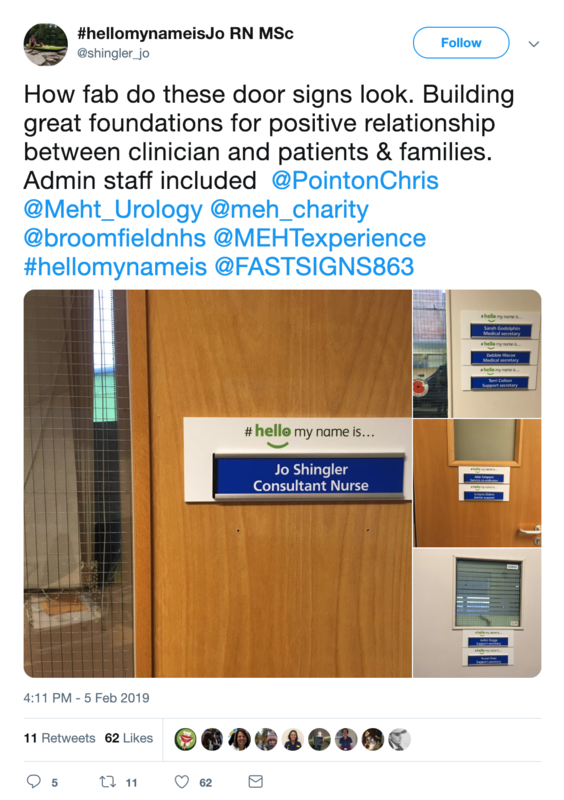 Building great foundations for positive relationships between clinicians and patients and families with these fab door signs. 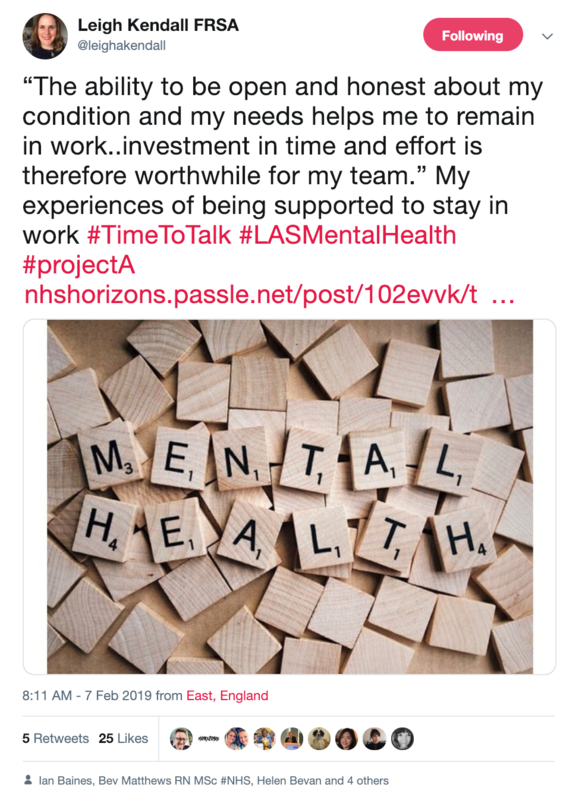 Leigh shared her experiences of being supported to stay in work for #TimeToTalk Day. 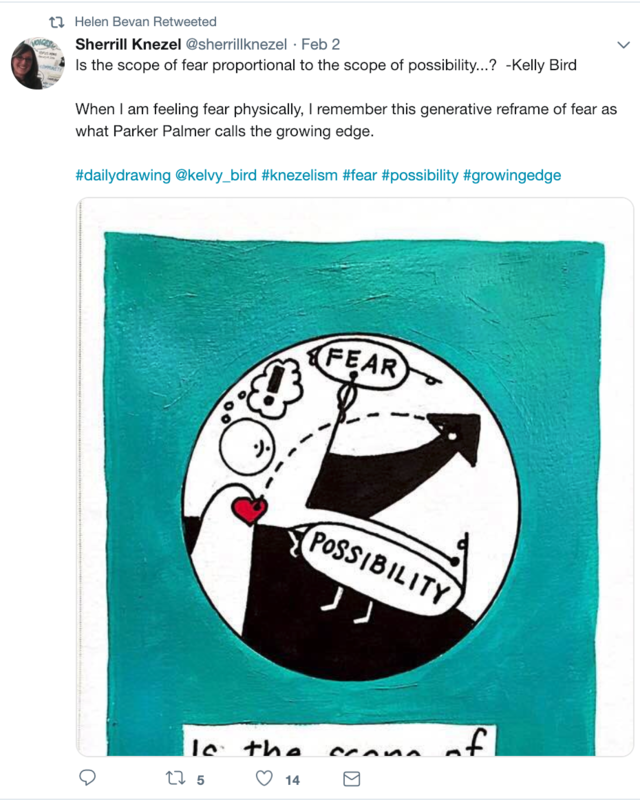 Is the scope of fear proportional to the scope of possibility...? 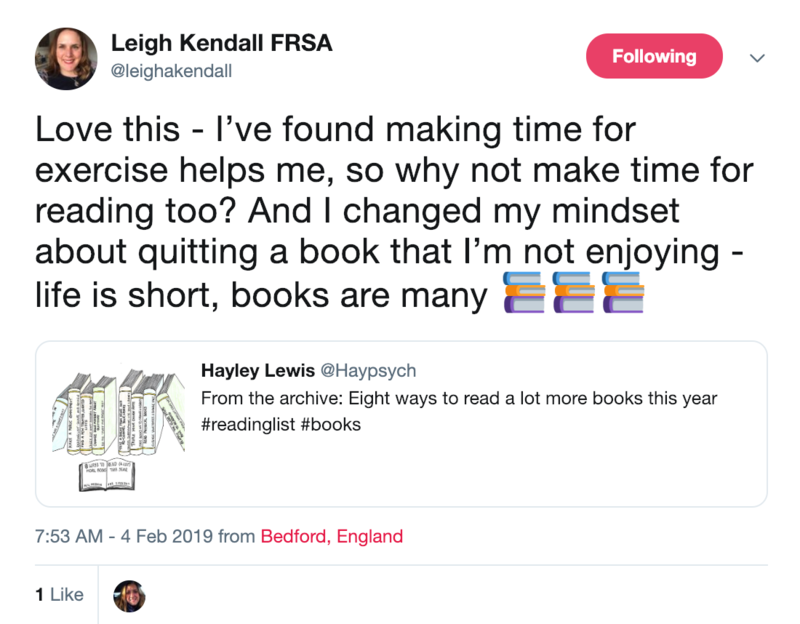 Let's make some time for reading! 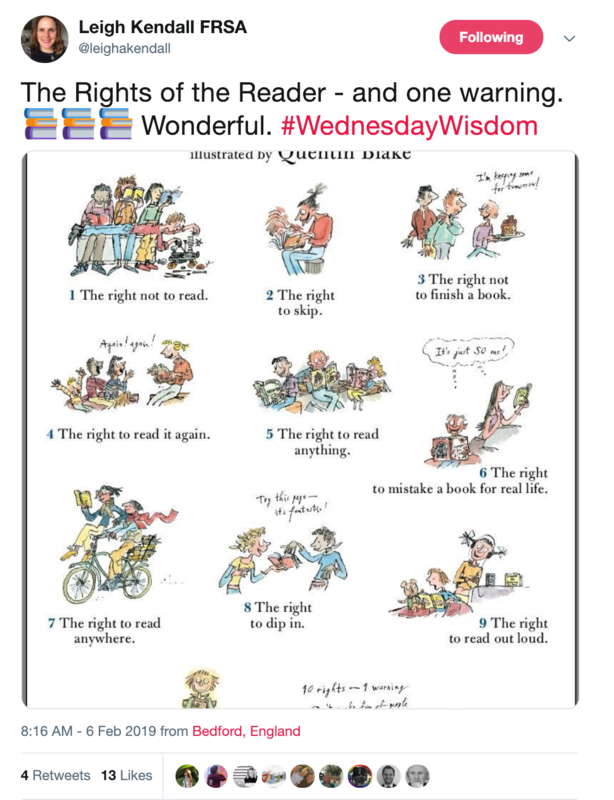 The Rights of the Reader - and one warning. 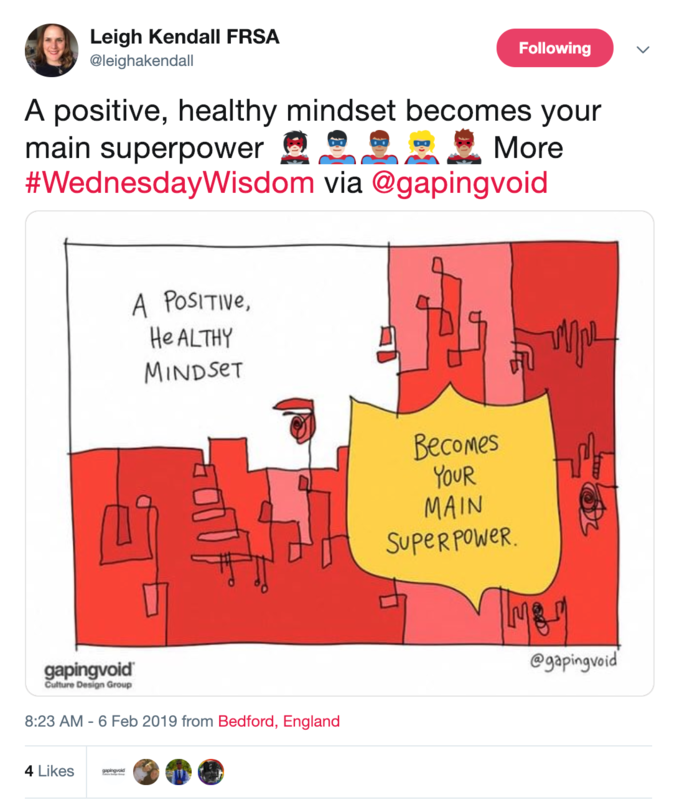 A positive, healthy mindset becomes your main superpower. 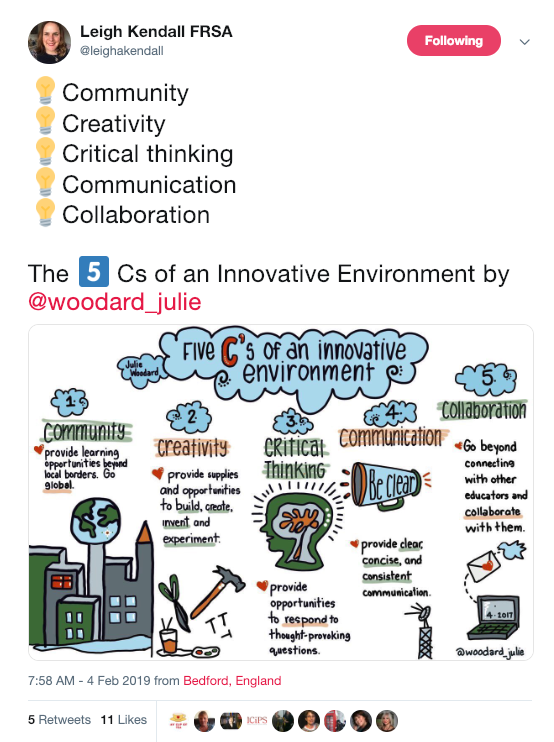 Community, creativity, critical thinking, communication and collaboration: the five Cs of an Innovative Environment. 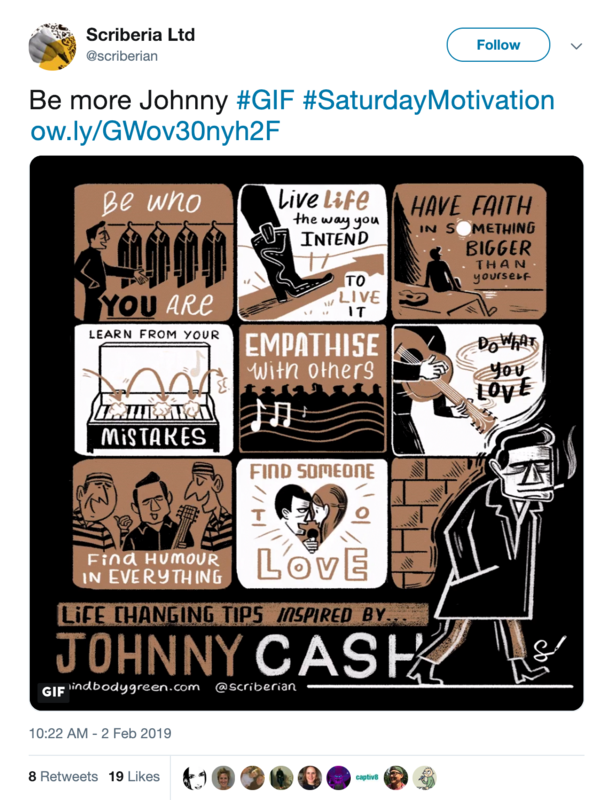 Small moves really can change the world. 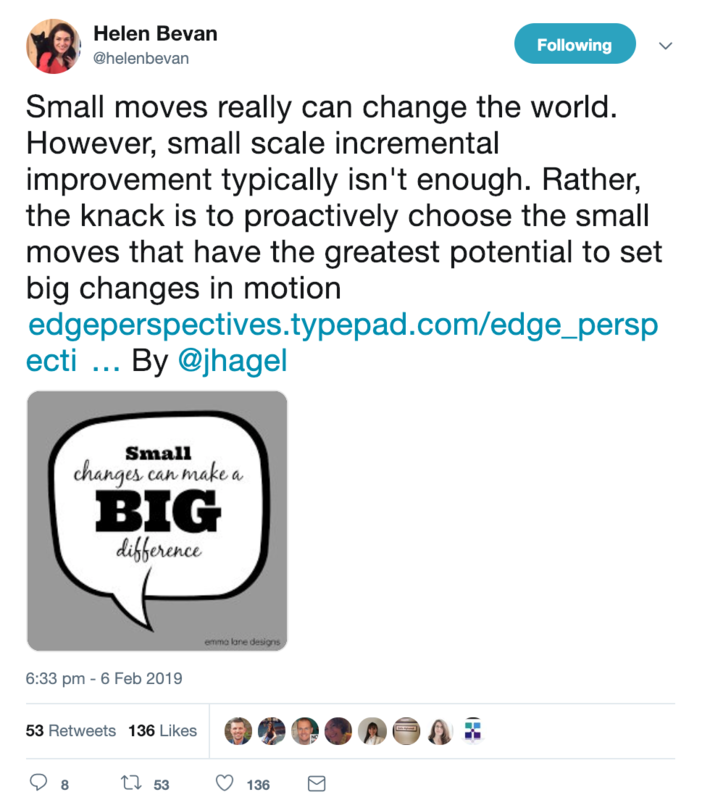 However, small scale incremental improvement typically isn't enough. Read more. 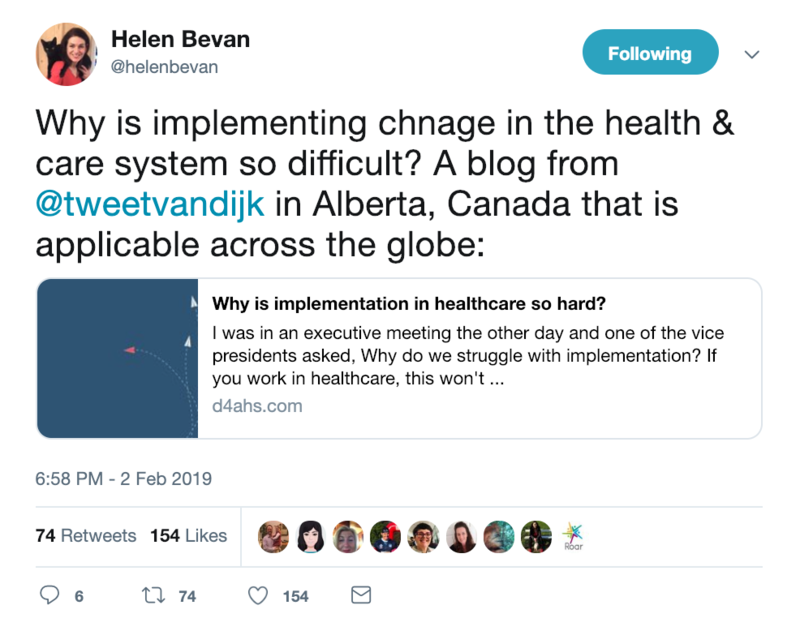 Why is implementing change in the health and care system so difficult? Helen has been co-creating a driver diagram for a transformation project. 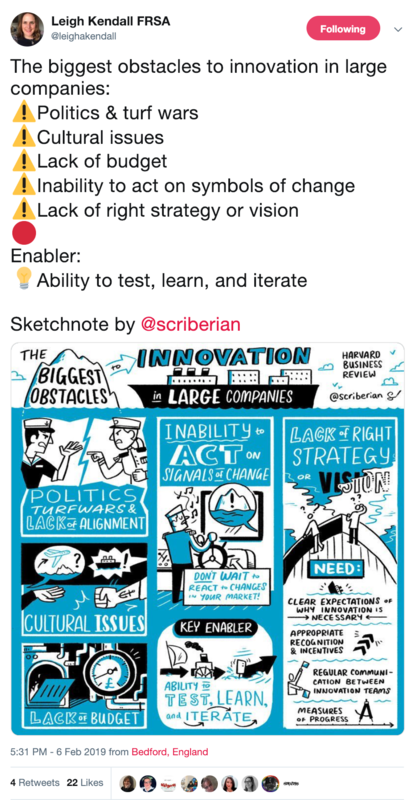 Too many transformation efforts lack a theory of change that links aims with actions. 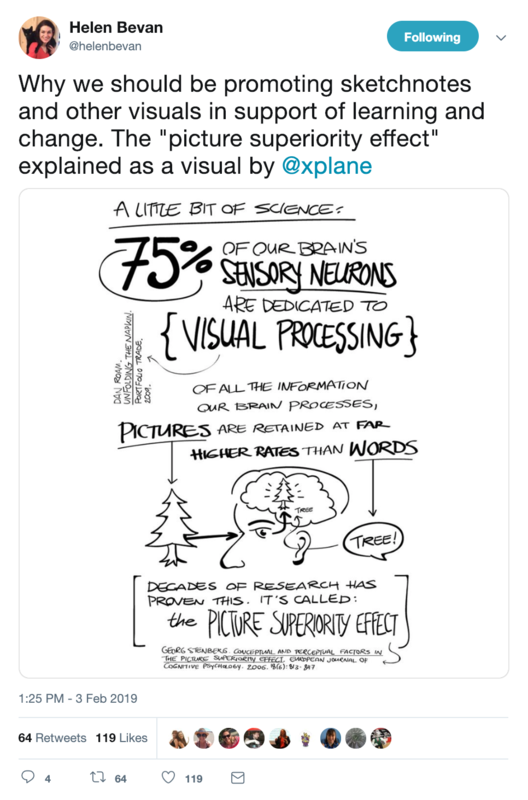 Driver diagrams can be a good way to do this. 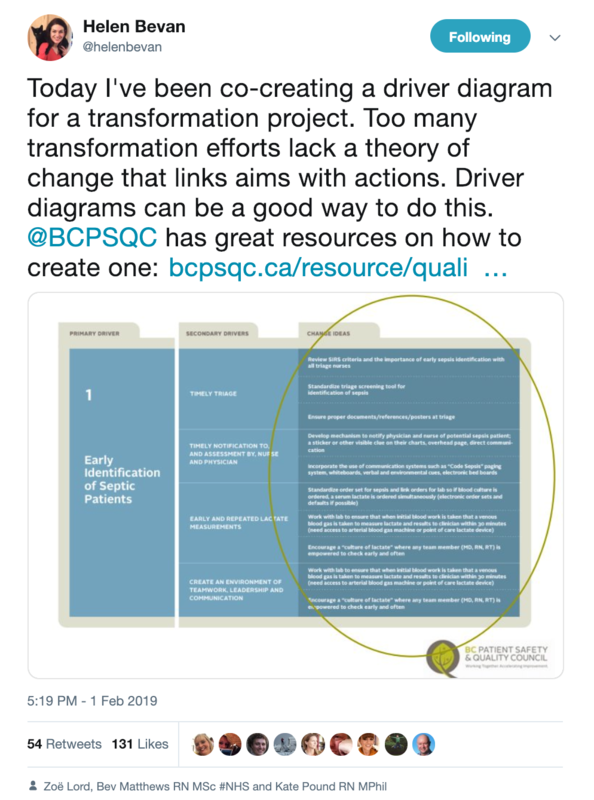 @BCPSQC has great resources on how to create one. 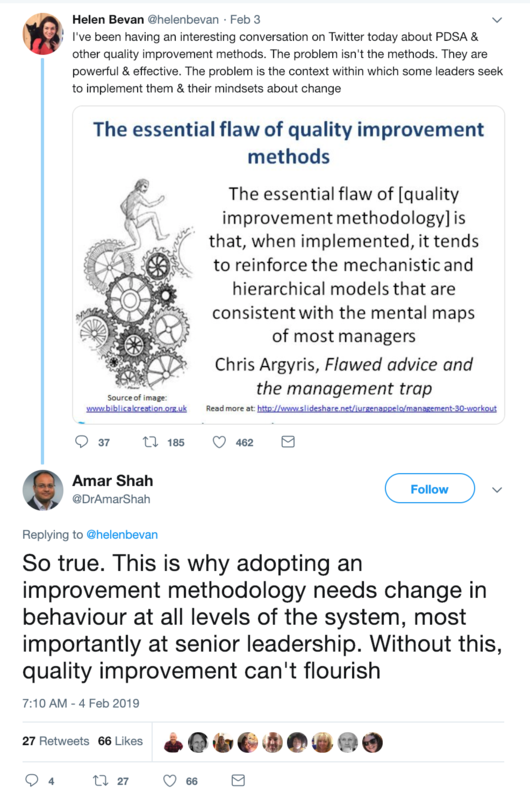 Helen has done some reflection on Plan-Do-Study-Act (PDSA) and other quality improvement methods. 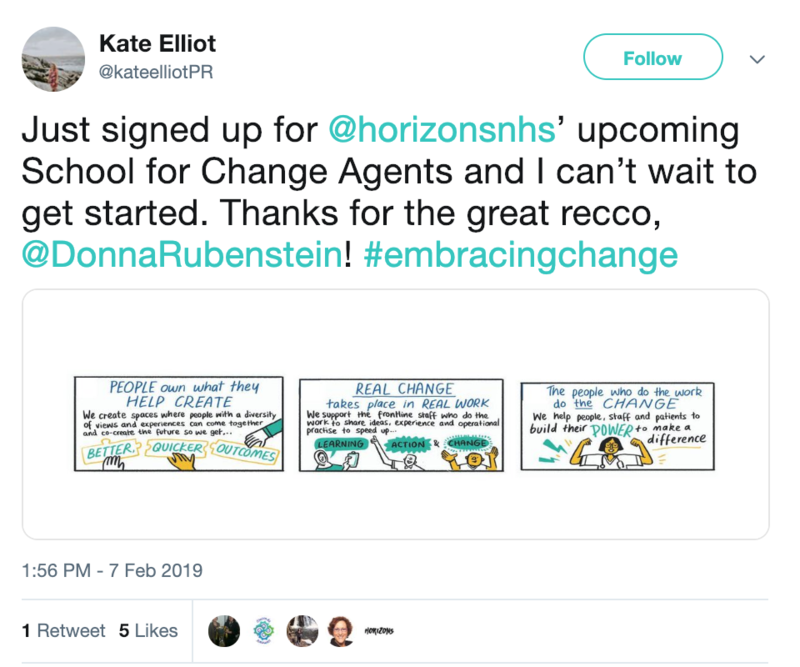 Here are some of her thoughts and the conversations she shared with leaders and change agents around the world. 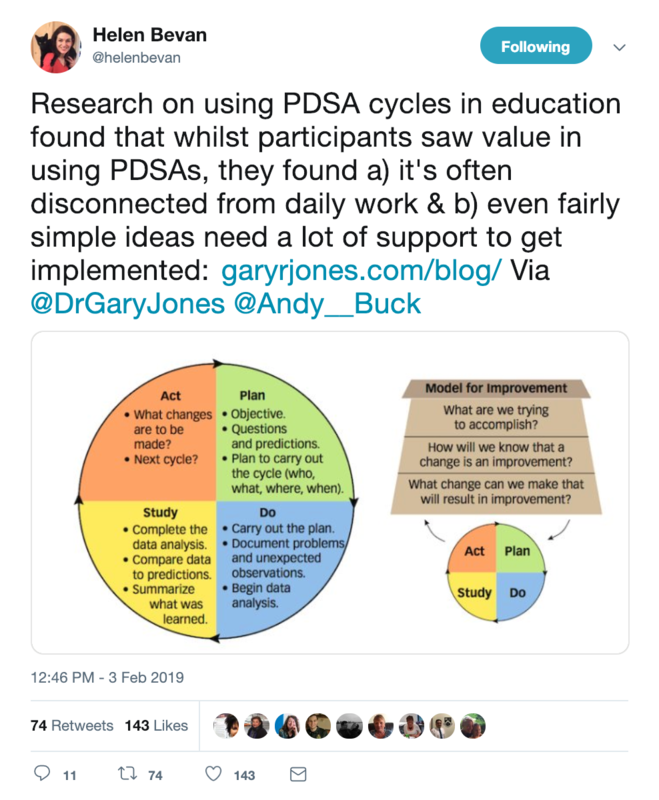 Research on using PDSA cycles in education found that whilst participants saw value in using PDSAs, they found a) it's often disconnected from daily work and b) even fairly simple ideas need a lot of support to get implemented. 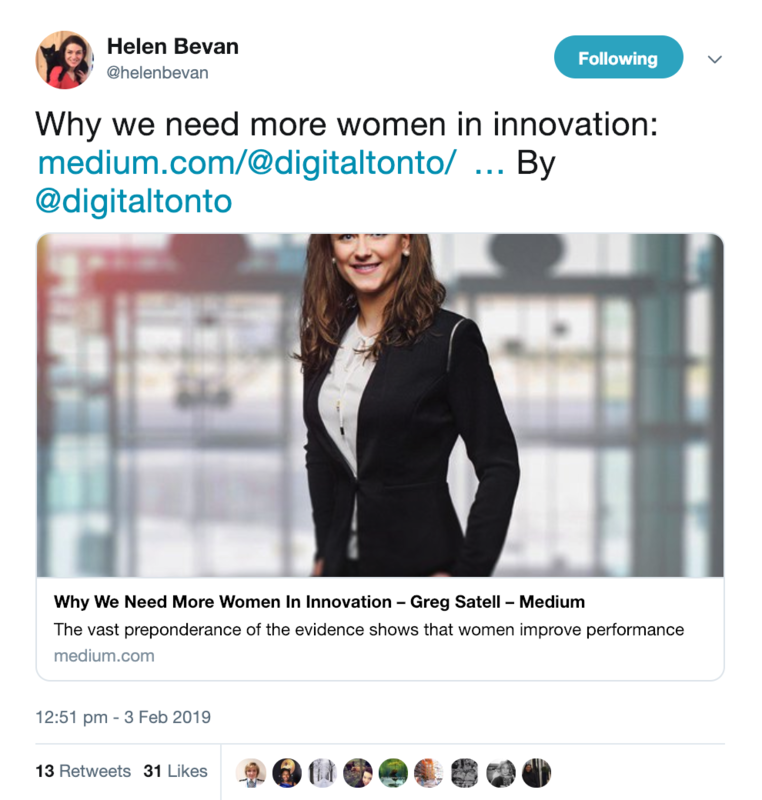 Why we need more women in innovation. 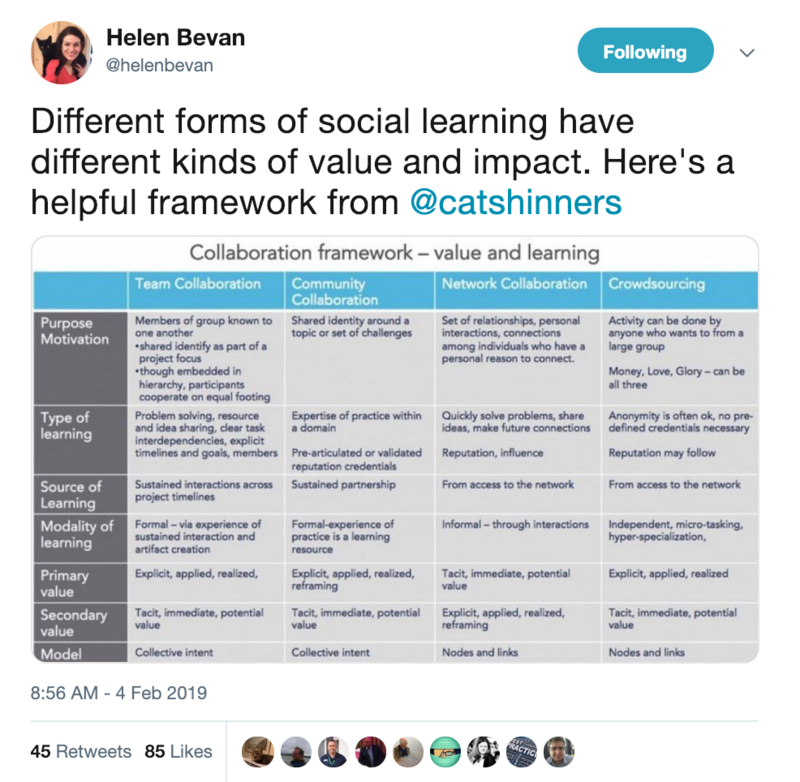 Different forms of social learning have different kinds of value and impact. Here's a helpful framework. 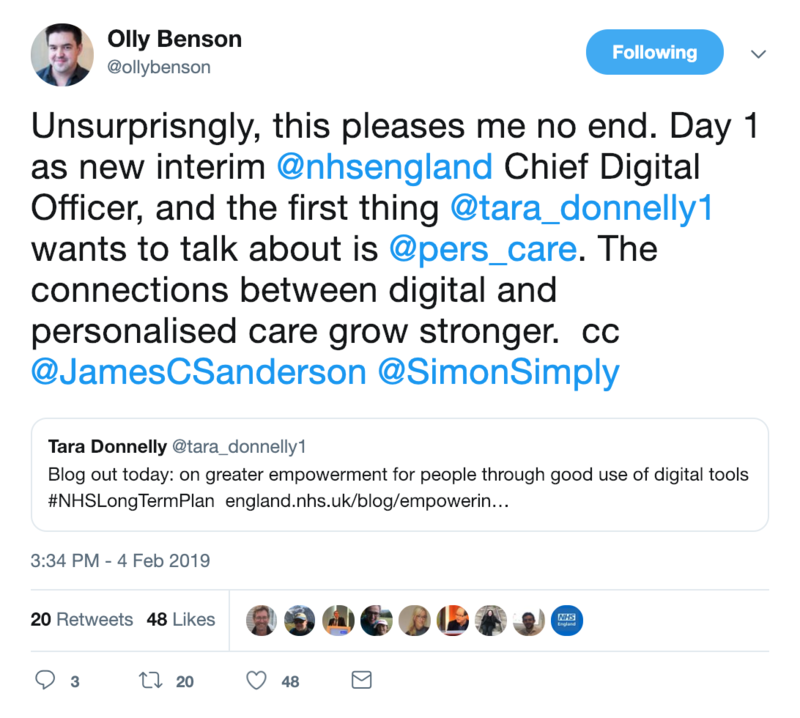 The connections between digital and personalised care grow stronger. 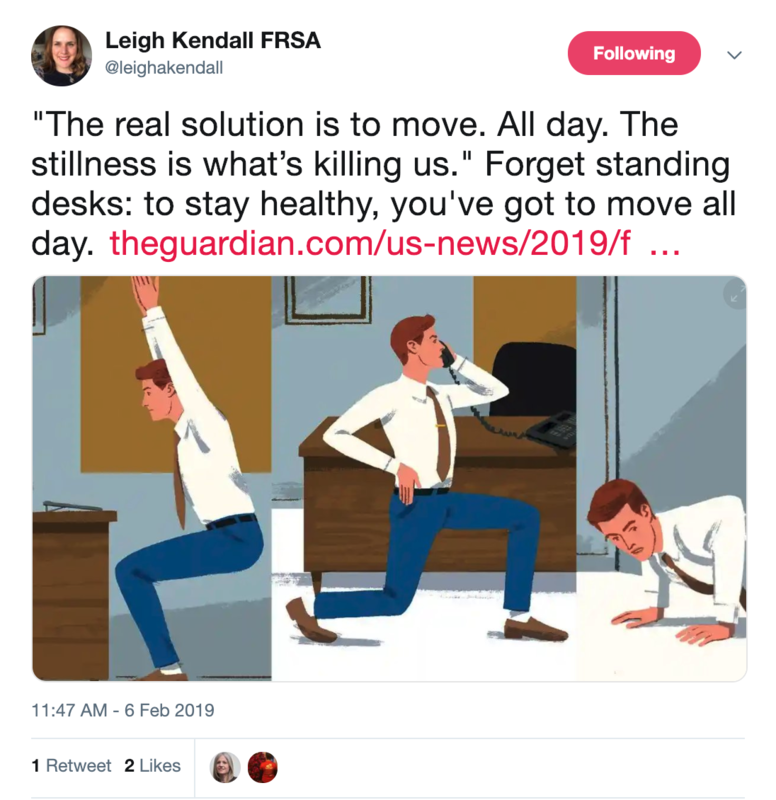 Read the blog. 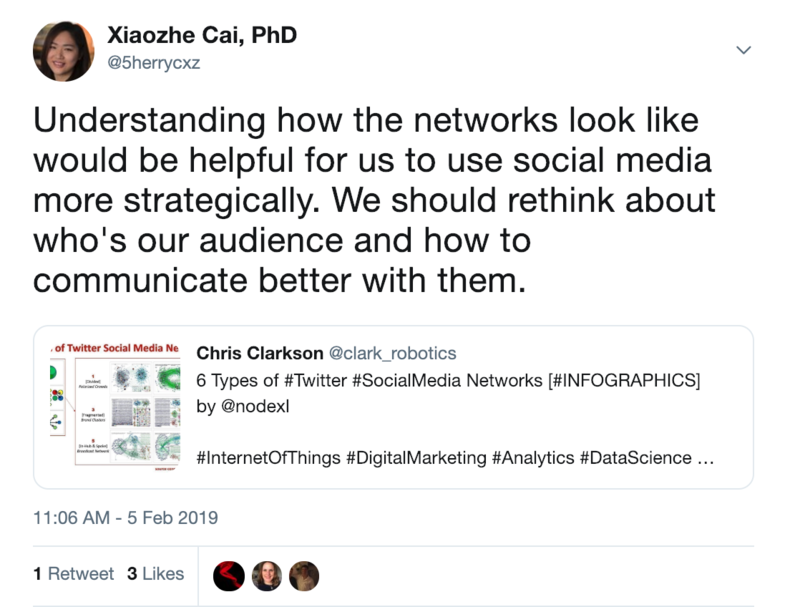 Understanding how the networks look like would be helpful for us to use social media more strategically. 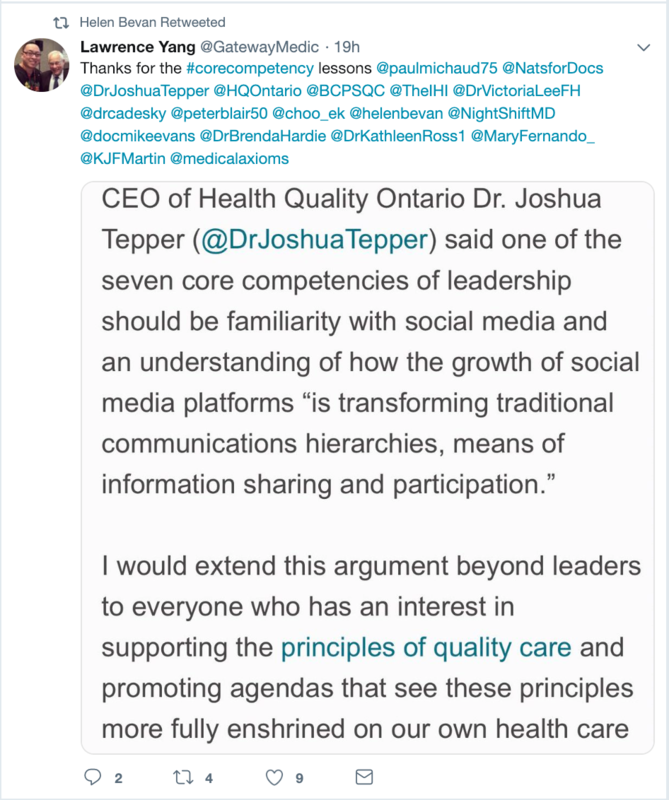 One of the seven core competences of leadership should be familiar with social media. You can categorise interpersonal styles in teams as 'givers', 'takers' and 'matchers'. 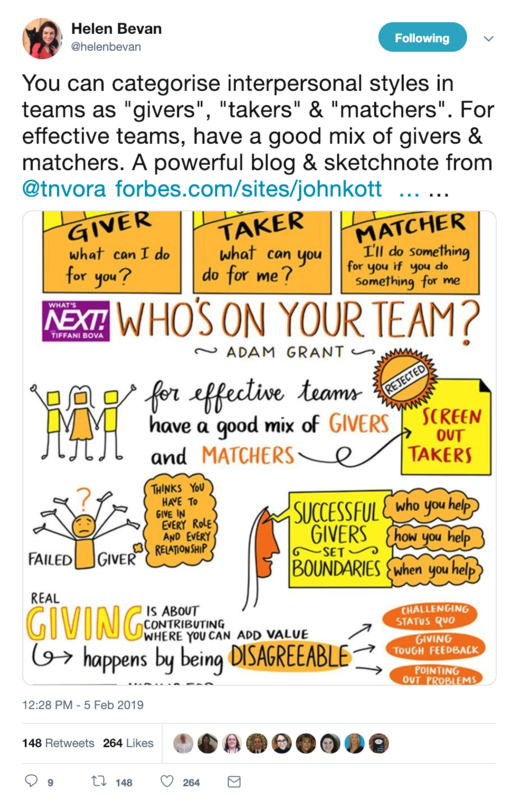 For effective teams, have a good mix of givers and matchers. What type of team member are you? 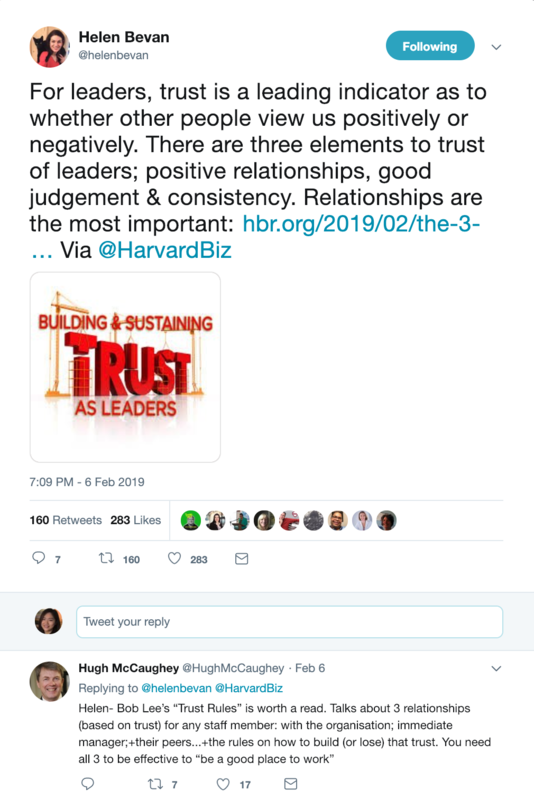 For leaders, trust is a leading indicator as to whether other people view us positively or negatively. There are three elements to trust of leaders; positive relationships, good judgement and consistency. Find out more. 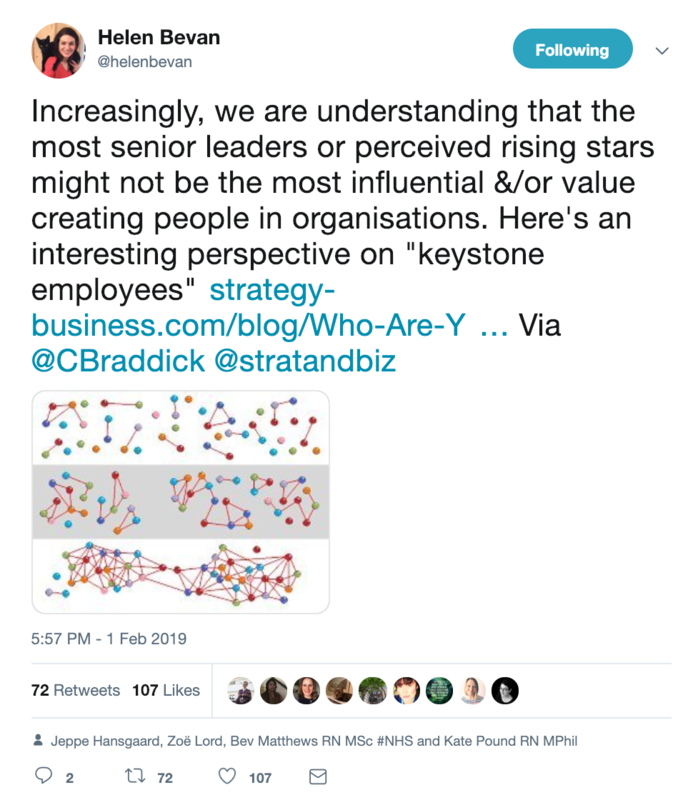 Increasingly, we are understanding that the most senior leaders or perceived rising stars might not be the most influential and/or value creating people in organisations. Here's an interesting perspective on "keystone employees".